APPLICATIONS and USES: Personal Radiation Detector and Survey Meter: Domestic Preparedness: Education and Nuclear experiments: Emergency Services: Post-Accident Response. 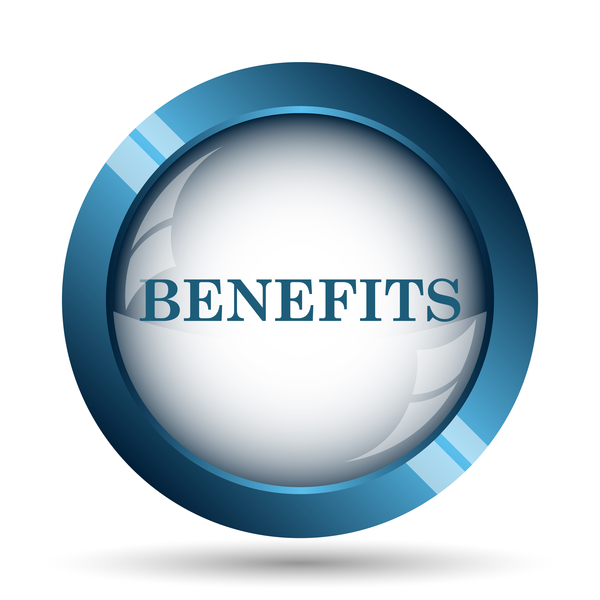 Compliance Verification and Radiation Screening for Wastes and other materials. PROVEN TRACK RECORD for detecting and measuring nuclear radiation in hospitals, medical research, college laboratories, industrial settings, transport containers, top soil, granite tables, scrap metal, oil fields, and interior spaces. AMERICAN MADE GM TUBE. Assembled in the USA. USA Tech Support. Price $397.15 & FREE Shipping In stock. 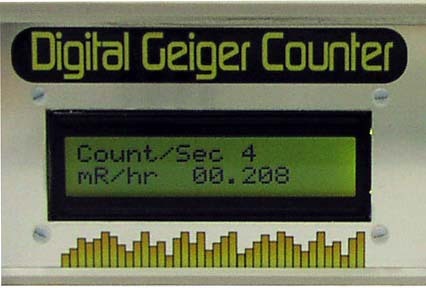 THE DTG-01 DIGITAL GEIGER COUNTER is the only Geiger counter you will ever have to purchase. It has a proven track record detecting and measuring nuclear radiation in hospitals, medical research, college laboratories,industrial settings, transport containers, top soil, granite table tops, scrap metal, oil fields, objects and interior spaces. APPLICATIONS and USES: Personal radiation detection: Survey meter: Education and nuclear experiments: Emergency Services: Domestic preparedness: Post-accident response. Compliance Verification and Radiation Screening for wastes and other materials. LCD DISPLAY: The 16 x 2 character LCD displays radioactive count and radiation level in mR/hr or mSv/hr. Time selection switch allows Counts Per Second (CPS) or Counts Per Minute (CPM) mode. CASE SIZE: The DTG-01 measures 8 ¾" (length) x 6 ½" (width) x 2 ¾" (height). 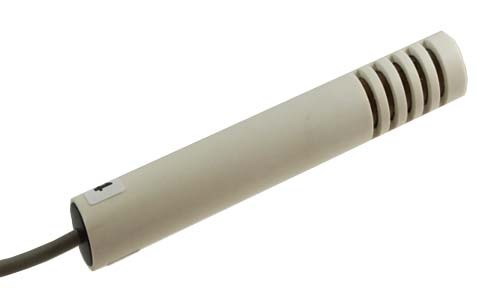 EXTERNAL SENSOR: The external probe makes it easier to search materials and to detect surface contamination. 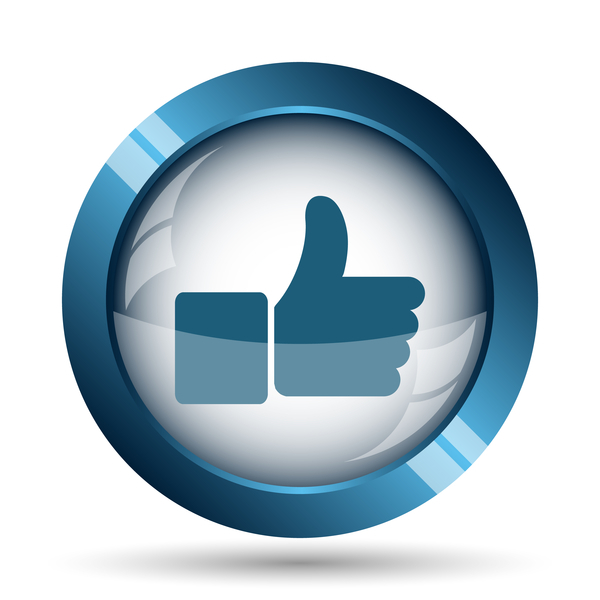 COUNTING RANGE:1 Count Per Minute (CPM) - 10000 Counts Per Second (CPS). RADIATION RANGE: 0.001 mR/hr resolution / 1000 mR/hr Range (Imperial measurements); 0.01 uSv/hr resolution - 10 mSv/hr range (Metric). RANDOM NUMBER GENERATOR: Range Selectable 1-2 and 1-128. 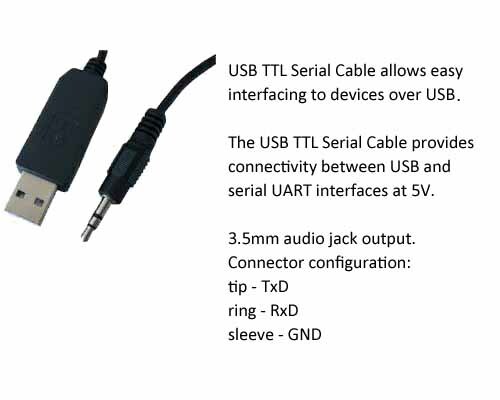 TTL Serial output. NIST TRACEABLE CALIBRATION: Factory calibration using an NIST traceable radiation source to insure accurate radiation measurements. POWER: For mobile operation a 9V battery (not included) may be used. A 110-220 VAC wall transformer power supply is included. DETECTS IONIZING RADIATION: Detects Alpha particles above 3 MeV in energy. GM tube has a thin mica window that allows alpha radiation to be detected. Beta radiation above 50 KeV; X-Ray and Gamma radiation above 7 KeV. INTNERAL SENSOR constructed using an American made LND 712 Geiger Mueller (GM) Tube. The GM tube has a .38 effective diameter. Alpha radiation end window comprised of 1.5-2.0 mg/cm2 mica. LCD DISPLAY is a 16 character by 2 lines display. Displays count and equivalent radiation level. CPS MODE: LCD displays second by second count and current radiation level in millirads (mR) per hour (mR/hr) Imperial or in millisivets (mS) per hour (mS/hr) Metric. Switch selectable. CPM MODE: LCD display minute by minute count and background radiation level in microrads (uR) to millirads per hour (mR/hr) Imperial. Or in microsivets (uS) to millisivets per hour (mS/hr) Metric. 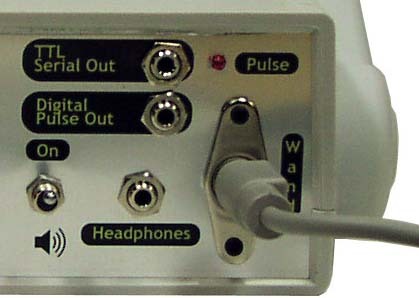 I/O OPTIONS: Headphones. External Speaker. External Power. 3.5mm Data Port for WIN PC and microcontroller interface. WIN PC requires optional 3.5mm to USB data cable. DATA OUTPUT PORT: The 3.5MM stereo socket outputs either Serial Data (default) or a TTL logic pulse for each radioactive particle detected. Jumper switch selection. The serial output is the counts per second sent via USB cable (not included) to our Windows PC Geiger Counter Graphing program (not included) for charting and recording the measured radiation over time. SECONDARY INDICATORS: Audio (clicks) and visual (LED) included. Also includes a headphone jack and a power jack for external power. A 110 VAC to 9V wall transformer power supply is included. 9V battery (mobile operation) not included. Why NRC Certification is important ! 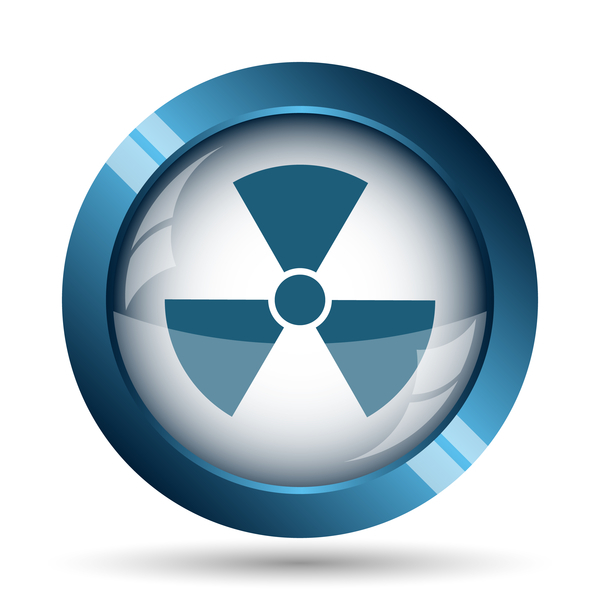 An NRC certification certifies your Geiger counter has passed 10-CFR-34 and 10-CFR-35 United States Nuclear Regulatory Commission (NRC) calibration standards. Manufacturers want to compete on price, not on our NRC certified accuracy. Don't believe a manufacturer's unproven claim of accuracy. The NRC certificate, certifies Geiger counter for regulatory inspections. 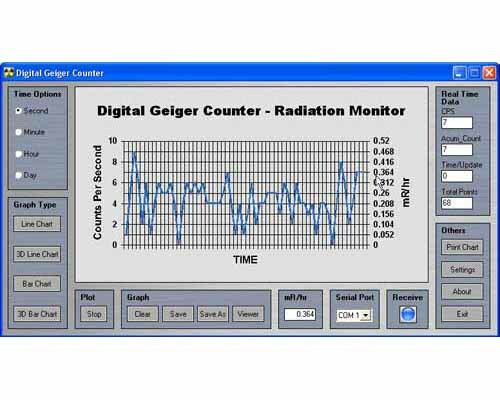 We are confident that our Digital Geiger counters are the best value you can find, we are not afraid to rent them for you to try. You can even apply your first month rental toward the purchase of a new Geiger counter. 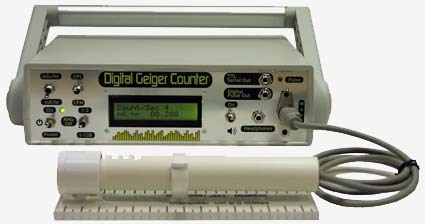 Digital Geiger Counters (GCA-06W/GCA-07W) are rented on a monthly (30 day) basis. Only the first month rental of $100.00 may be applied to purchase of a new GCA-07 Geiger Counter. Customers are responsible for shipping charges. Alpha, Beta, X-rays and Gamma Radiation. 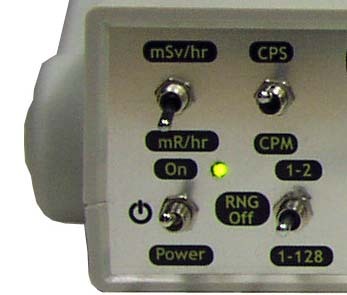 Operates in Survey Meter Mode and CPM for background radiation reading modes. Each radioactive particle detected produces a digital pulse. That pulse can be sent out as either a raw digital pulse or a serial number. Front panel switches provide an intuitive easy-to-use interface to control all Geiger counter functions. Graphing and charting software features: Threshold alarms, CPS,CPM, CPH and CPD modes. Graphs in lines, bars, 3D lines and 3D bars.